Have you been considering harnessing the power of the sun as part of going green and lightening your environmental footprint? When you are ready to choose the best solar power system for your home, there are a lot of factors to consider. The following are 6 questions you should ask yourself when selecting the best solar panel for your home solar power system. 1) How much are you willing to pay? The price for a solar panel is based on the size of the unit, the manufacturer, warranty service offered and any energy efficiency certifications the system may posses. Choosing the ideal solar panel for your home depends large on your budget. But, do not select the least expensive panel, but instead choose the system that is best suited for your homes size and energy needs. Also note, inexpensive, lower-end systems may not produce and store enough energy to qualify you for government rebates or to save you any significant money on your electric bill. 2) How long will it last? The durability of a solar panel system is very important for several reasons. First, you should expect a solar panel to last long enough to pay for itself in power generation. If the system takes 10 years of power generation to pay off but the warranty only is 5 years, the system may need to be replaced before it has paid for itself. Also, if you are planning on installing a critical system, note that lower quality panels will have be replaced earlier than other panels, leading to increased disruptions in power generation. Most reputable dealers of higher-end solar panel systems offer a 25 year warranty on all systems. With a little bit of investment, you can have a “peace of mind”. 3) How much power do you need? Most solar panels are priced by dollars per Watt. Watt refers to the output of a panel; for instance, under ideal conditions, a 100 Watt panel would be able to produce 100 Watts of electricity per hour, a 200 Watt panel would produce 200 Watt per hour, and so on. Therefore, a 200 Watt panel would be twice the price as a 100 Watt panel. Also, the output of the panel also determines the surface area required to absorb light and the size of the unit, meaning a 200 Watt panel would be larger in size than a 100 Watt unit. The kind of solar cells used in the fabrication of the unit, also contributes to the panel size. It’s important to consider that you will require a panel large enough to supply your electricity needs but small enough to physically fit the area that you plan to install it. Therefore, make some calculation on how much power you’ll need from your residential solar system and then make your decision from there. 4) How efficient is it? Energy efficiency is an important factor when choosing appliances and systems for your home, yet there has been debate over the “energy efficiency” of one type of solar panel versus another. It is important to remember that solar panels are producing, not consuming power, so a 200 Watt solar panel will produce 200 Watts regardless of its “energy efficiency” rating. The key here is to select the Photovoltaic (PV) panel which is the most efficient. 5) What type of solar cells it uses? There are 3 different types of solar cells. The first, mono-crystalline silicon, is the most efficient and with this type of solar cells, the panels are smallest on the market. The second, poly-crystalline (or multi-crystalline) silicon, is the second most efficient and the panels are larger than mono-crystalline silicon systems. The third cell is morphous (or thin-film) silicon; this type contains the least amount of silicon and produces the least amount of power. It also takes up more surface area then the two other types of cells; however, it can be installed on curved or irregular surfaces where the other systems cannot. 6) Is the solar panel suitability for your climate? It is important to note that mono-crystalline and multi-crystalline function best in bright but cool conditions, while amorphous (thin-film) silicon performs better at higher temperatures. Monocrystalline or multi-crystalline cells are recommended for large, unshaded roofs; amorphous panels are better for roofs with partial shading. Regardless of what type of solar panel system is used in full shade, it will not perform well. It seems fairly obvious to state, but you can’t harvest the power of the sun in the shade; so by this logic, advertisements for “shade tolerant” systems should be considered misleading. 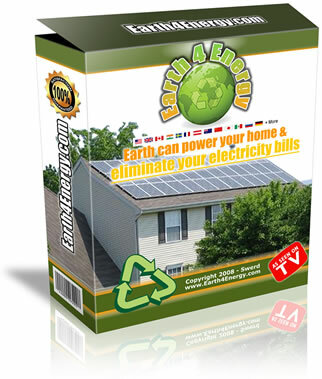 One of the best ways to save money on a residential solar power system is to build your own solar panel. If you are good with hand tools, you can make a Photovoltaic (PV) array for around $150. What you’ll need is a step by step instructional guide.